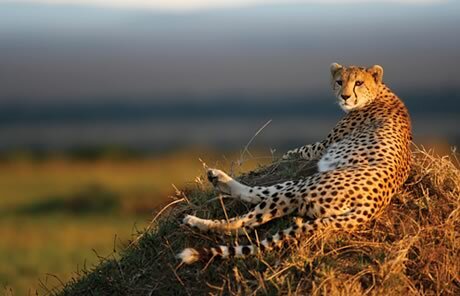 There is a romance about Kenya that conjures up images of African colonial life, taking tea on the verandah, crisp white linen, stiff safari suits and passionate affairs with big-game hunters. 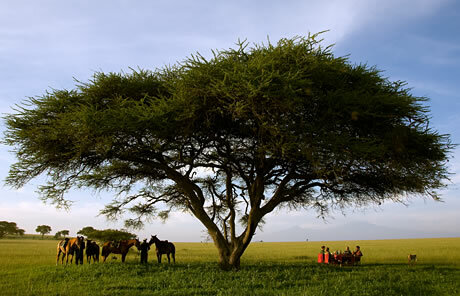 I think, there is a part in all of us that wants to stand in the shade of an acacia tree at the base of the Ngong Hills. 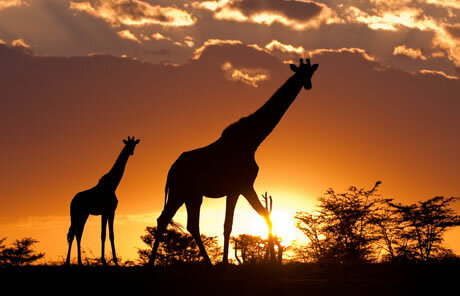 Kenya, home of safari, is still the most visited of all the African countries and for good reason. It is everything you imagine Africa to be, prides of lion hunting in the open plains, herds of wildebeest snaking through the Mara on their eternal quest for fresh new grass, a leopard hanging from the tree-tops, its prey slung over a branch and cheetah on the lookout for their next meal across the expanse of the savannah. Certain areas can be busy but Kenya still has large tracts of wilderness that offer superb safari experiences with no other vehicles in sight. With our knowledge we will fly you into the heart of this beautiful country, which is home to some of the most exclusive lodges and wonderful tented camps, and whether you are looking for a 4 or 14 day trip, Holmes Travel will ensure that your holiday offers an unparalleled wildlife spectacular. After all this excitement what better way to relax than on the soft white coral beaches of the Indian Ocean. Lamu, with its Moorish influence, has some beautifully restored Swahili townhouses and small boutique hotels, the unspoilt islands of Zanzibar and Pemba offer some luxurious but simple retreats, such as Fundu Lagoon and Kilindi or, for an exclusive honeymoon hideaway, North Island on the Seychelles is the ultimate beach destination. 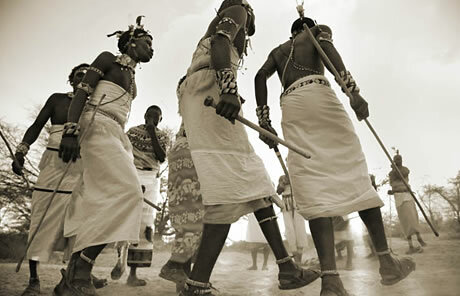 A two week safari within Kenya, retracing the steps of the first colonials and visiting some of the best known safari camps. Day 1: Daytime flight from UK to Nairobi, Kenya to arrive same day. Transfer to House of Waine for 1 night. 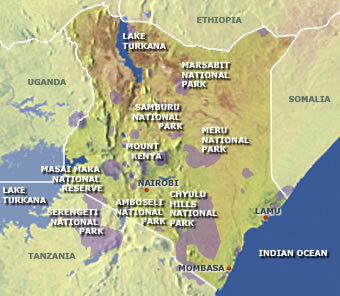 Day 2-4: Transfer to Wilson airport and fly to Meru National Park. 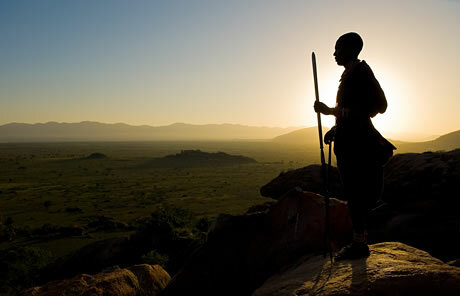 Transfer to Elsa’s Kopje for a 3 night all-inclusive stay so you have time to explore this area and the abundant game. 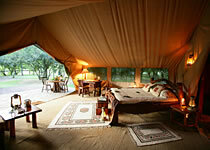 Day 5-7: Fly to Samburu, transfer to Joy’s Camp for 3 nights. Here you can re-live the life of Joy Adamson and go in search of her beloved leopards. 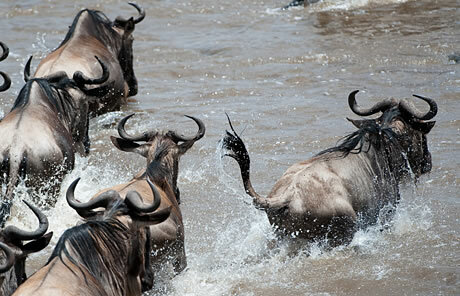 Day 8-10: Fly to Masai Mara, transfer to Il Moran for 3 nights. This area is home to Big Cat Diary and you have the chance to track the legendary Marsh Pride. Day 11: Fly to Nairobi and transfer to international airport for overnight flight back to UK. Prices from £4562 per person including international flights from the UK, internal flights, National Park Fees, guides, games drives and meals whilst on safari. For the perfect end to your trip we recommend a few days relaxing on one of the unspoilt beaches of Lamu at Manda Bay, exploring the magic of Kilindi on the spice island of Zanzibar or flying to North Island in the Seychelles for the ultimate beach destination.